I’m a UX Designer from Antwerp (Belgium), living in Berlin (Germany) and obsessed with web usability, UX (user experience) -and UI (user interface) design. I actually started out as a graphic designer for a small company in Barcelona, Spain (now a rather big one). Just a few months into the job, I found out that I had a knack for the more technical part of design. Slowly, but surely, I transformed from a graphic designer into an interface designer. Designing the shop interfaces of Esprit and Hugo Boss was a great experience. A few years later, I was the interface designer for a publicist in Belgium and was part of the data-team. 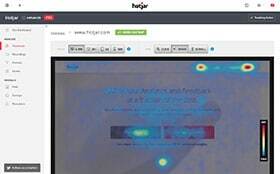 It was there where I came in contact with all kind of research methods: A/B testing, user session recordings, usability testing, heatmaps, etc. Data-driven design was more or less established and the results were all that mattered back then. It was then that I became more interested in uncovering the reasons behind those results. Since my arrival in Berlin a few years ago, I have had the pleasure to work for a few start-up companies (nu3, Home24), a start-up incubator (Project A Ventures) and a few well established companies (Die Welt, Axel Springer). I currently work as a UX Designer for Home24, an online shop for furniture, lamps, accessories and more, with about 80.000 products in our assortment and active in 8 countries. I started this blog in 2009 and named it after myself, basically because I didn’t have any better idea at the time. To me, it was (and still is) my online playground to share my knowledge and ideas, to experience and discover new things. But we’ve come a long way since then. 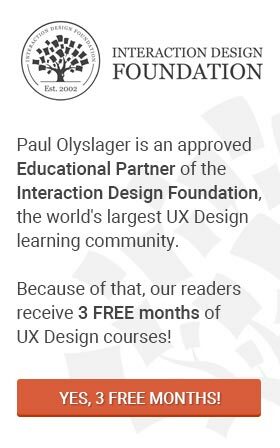 The UX community has grown exponentially and that’s why it’s not longer just about my knowledge and ideas. Many guest authors have found their way to this blog, to explain their point of view on all UX related topics. Please visit my LinkedIn profile for my full resumé. In case you have some good ideas, questions, suggestions or would like to share your story with us and become a guest author, please feel free to contact me by using the form below or send me a message on Twitter.